At The Law Office of Marjorie J. Brown, PC in Concord, North Carolina, we are here to give you peace of mind by helping you devise either a medical or financial power of attorney. This legal document gives an authorized individual the power to make decisions for you if you are ever unable to do so. 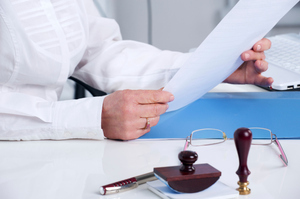 Although a power of attorney should be a necessary legal document for everyone, there are several situations in which this legal document is crucial. For example, many married couples believe that they do not need a power of attorney because they believe their spouse can handle financial and medical decisions if they become unable to make them on their own. However, this is not always the case. If you are married and you and your spouse own property separately, there are certain limits to what you can do with these assets without a power of attorney. Without this document, your family members or friends may have to ask a judge to designate someone to manage your affairs. Although the court may attempt to appoint someone you trust, the person they choose may not be someone you would prefer. At The Law Office of Marjorie J. Brown, PC, we believe that a power of attorney is one of the most important estate planning documents you can create. For more information about the benefits of this legal document and to begin the drafting process, contact us today.